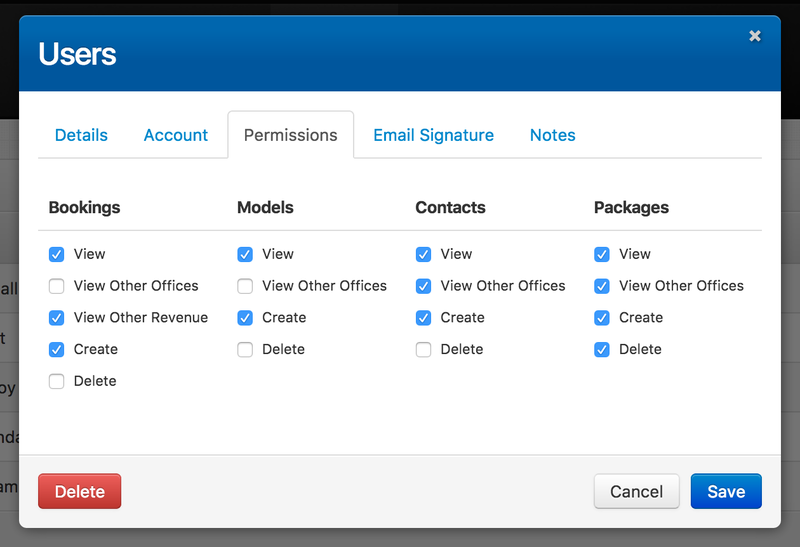 Manage your users, their account details, and permissions. The Users tab manages all of the agency accounts that can access Syngency. These user accounts represent each of the staff at your agency that require access to Syngency. They do not include talent accounts, which are managed from talent’s individual profiles. Access to all features, including Reports and Settings. Limited access to features, and no access to Reports and Settings. If you are on our Premier plan, you will also see an Office column in the list. Click the blue Add User button at the bottom of the list of users to create a new user account, or click on an existing user to view their account details. 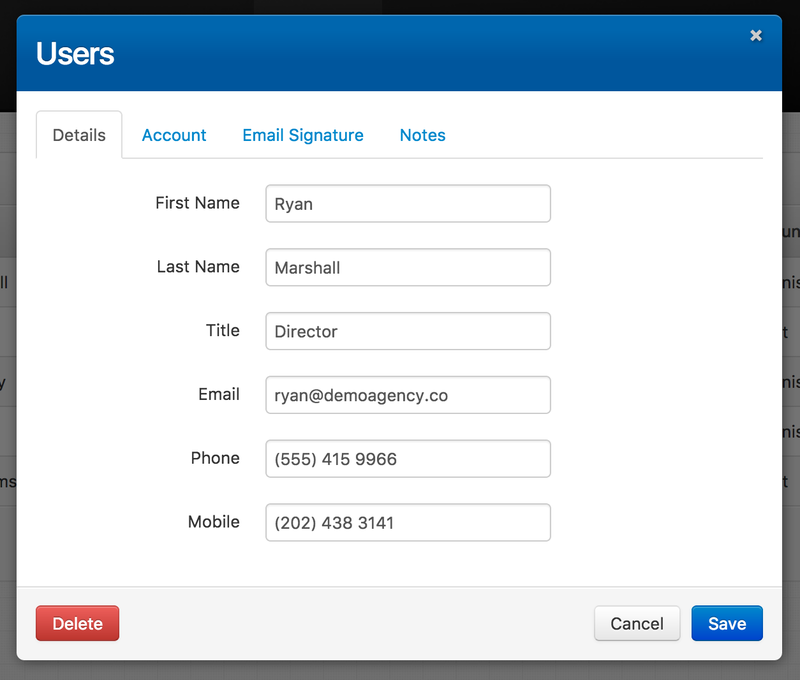 The Details tab contains the basic personal and contact information for the user. First Name, Last Name, and Email are all required fields. 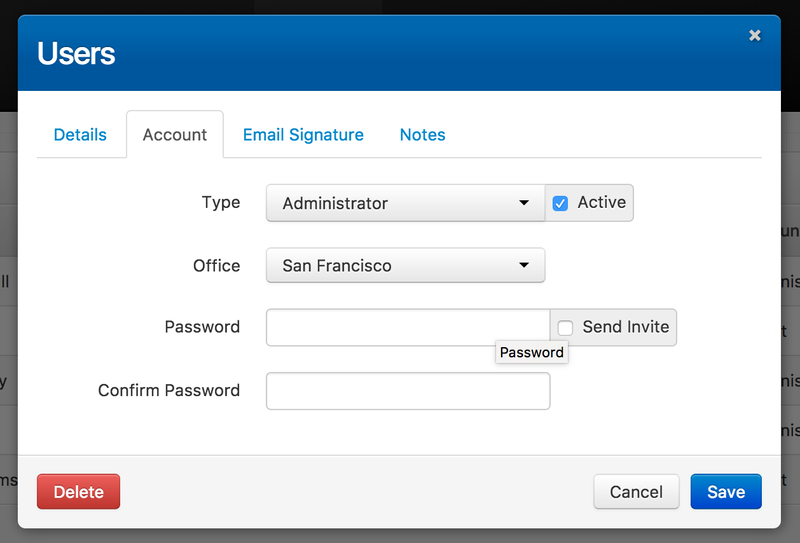 The Email address is used to identify the user when they sign in to Syngency. The Account tab sets the users’ account type (Administrator or Agent), whether their account is Active (inactive users are not able to sign in to Syngency), their Office (if you are on the Premier plan), and Password. To send the user an invitation email and allow them to set their own password, check the Send Invite option and click Save. 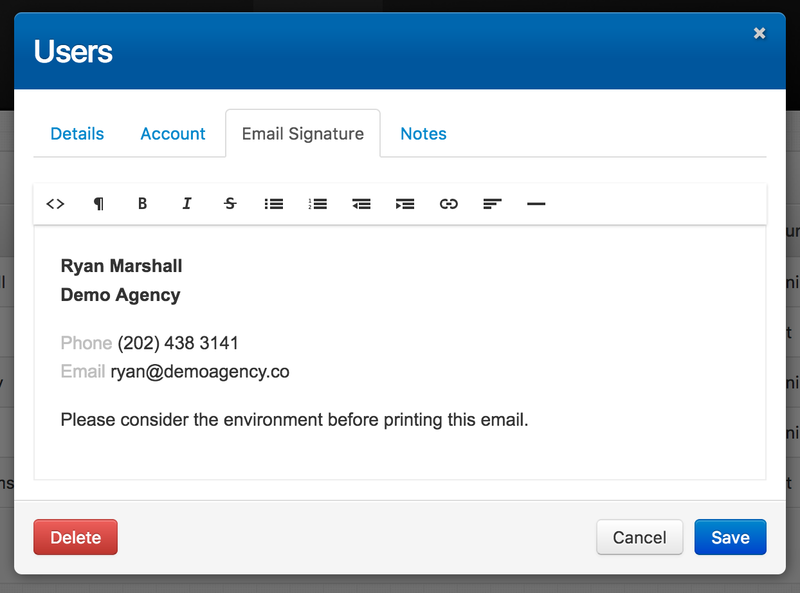 The Email Signature can be displayed on all email messages sent by the user via Syngency. This can contain basic formatting, such as bold, underline, and italic, with more detailed customizations able to be added with HTML by clicking the Code View <> button in the editor. 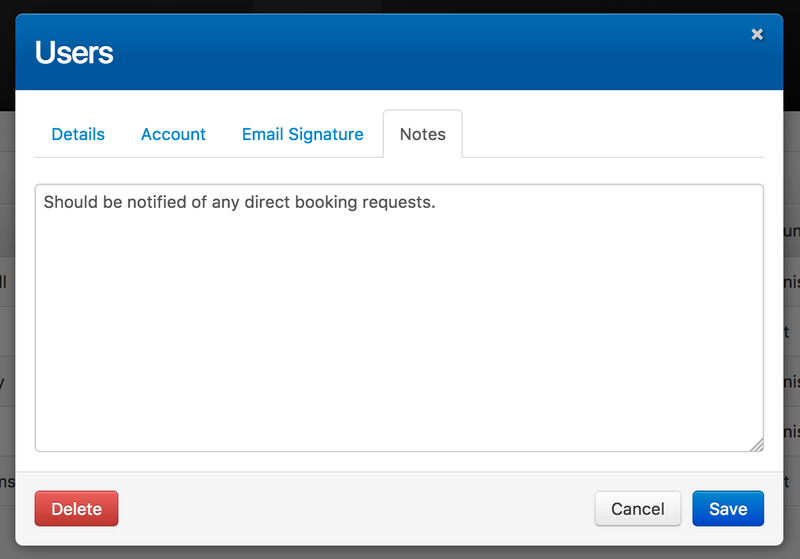 Any administrative notes for the user can be added on the Notes tab. These are private, and only displayed in this tab. We have now added a Permissions tab to the User window, allowing administrators to manage the permissions their users have within Syngency.